Since starting comedy in 2009, Lloyd has quickly established himself as one of the most natural, brightest and original comedians on the circuit and now regularly performs at some of the largest clubs in the UK. Lloyd’s love of Grimsby Town FC goes beyond supporting them at the terraces. Just before Christmas 2014, his ‘Grimsby Town FC Christmas message,’ which was written and produced by Lloyd, as well as starring in it went viral and appeared in pretty much every news website. Lloyd has appeared on shows such as BBC3’s Sweat the Small Stuff, BBC2’s Songs of Praise, and RTE’s Hey Ho Let’s Go. He has also performed on BBC Radio 1’s Live Lounge Comedy Club, BBC Radio 3’s Choral Evensong, and Josh Widdicombe’s XFM show. Lloyd is also a regular on Rob Beckett’s ‘Rock ’N' Roll Football’ on Absolute Radio. Alongside this, Lloyd provides the full UK tour support for Rob Beckett. He has also supported Daniel Sloss, Jack Whitehall and Sean Lock respectively. In 2014 Lloyd made his solo Edinburgh debut at The Pleasance with Voice of an Angel, Body of Trucker as well as leading the choir in Nick Helm’s Two Night Stand in The Grand. Prior to this Lloyd performed in Edinburgh as part of the prestigious AAA Stand-Up showcase in 2012 and then the Big Value Comedy Showcase in 2013 as well as appearing in Charlie Baker’s Baker’s Dozen. 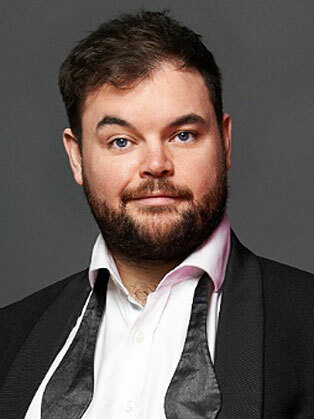 Singing wise, Lloyd is a professional (choral) singer and can be heard performing with the choirs of Westminster Abbey, St George’s Chapel – Windsor Castle and various other London groups. Lloyd is the face of the FIFA16 campaign and has travelled the world on his quest for the ultimate football team including Lionel Messi, Ryan Giggs and Gary Neville. His short film premiered on Sky Sports in January 2016. An infectiously affable nature and the ability to spin a great yarn. His sense of fun is infectious, his singing voice faultless and his anecdotes are told with boundless confidence. Griffith has clearly established his own style of comedy.